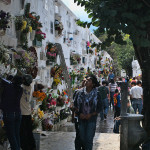 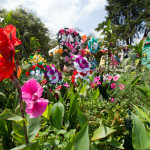 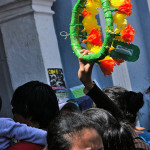 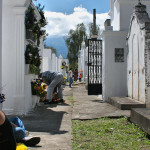 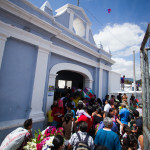 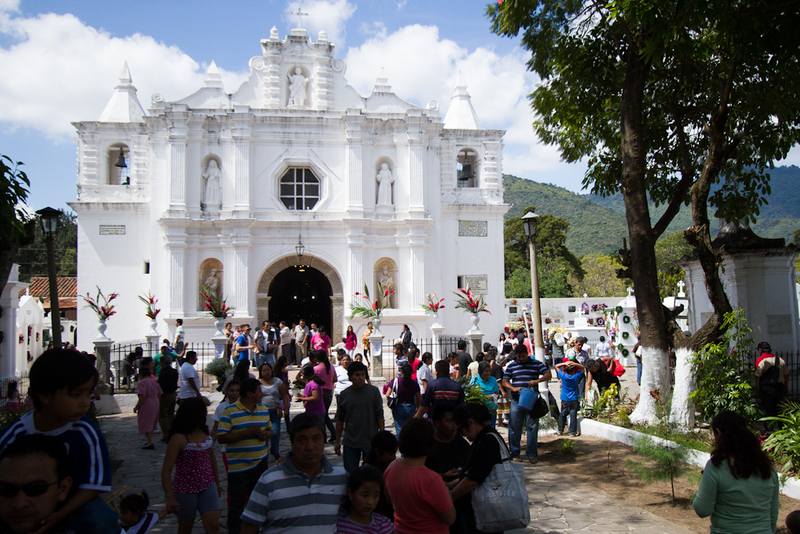 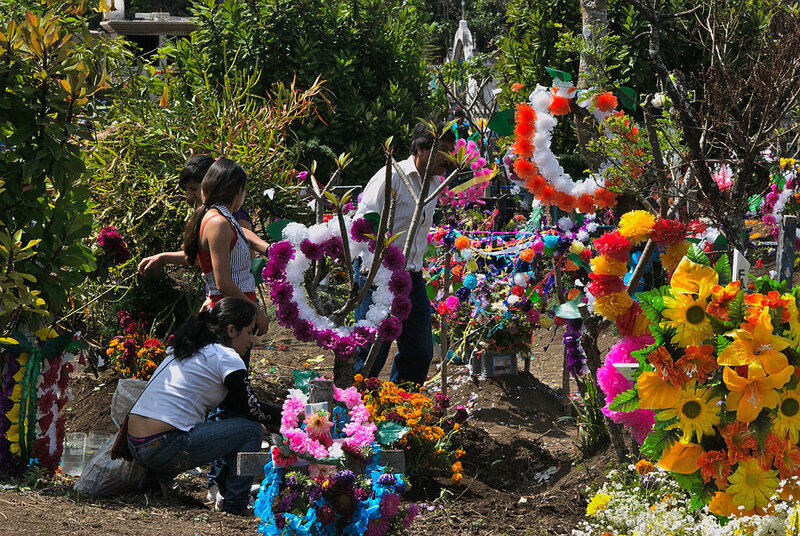 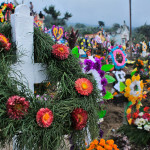 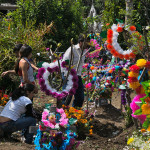 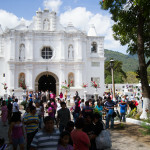 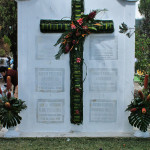 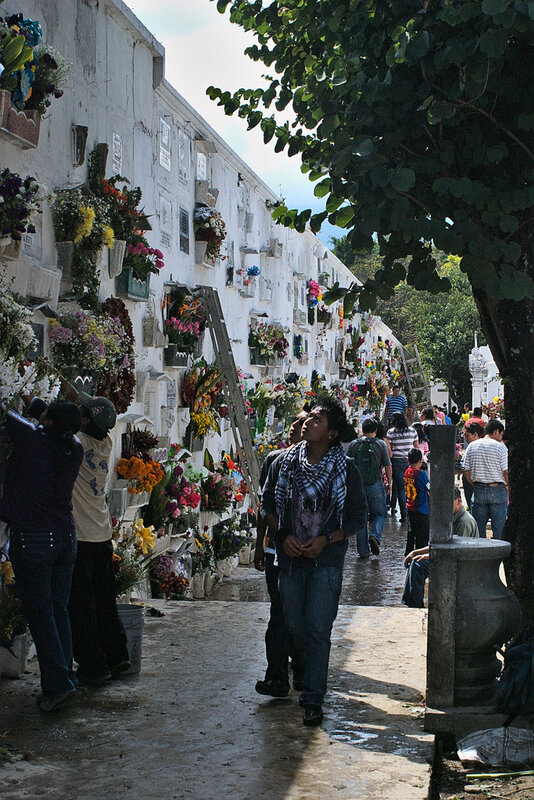 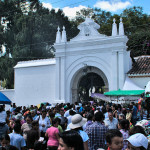 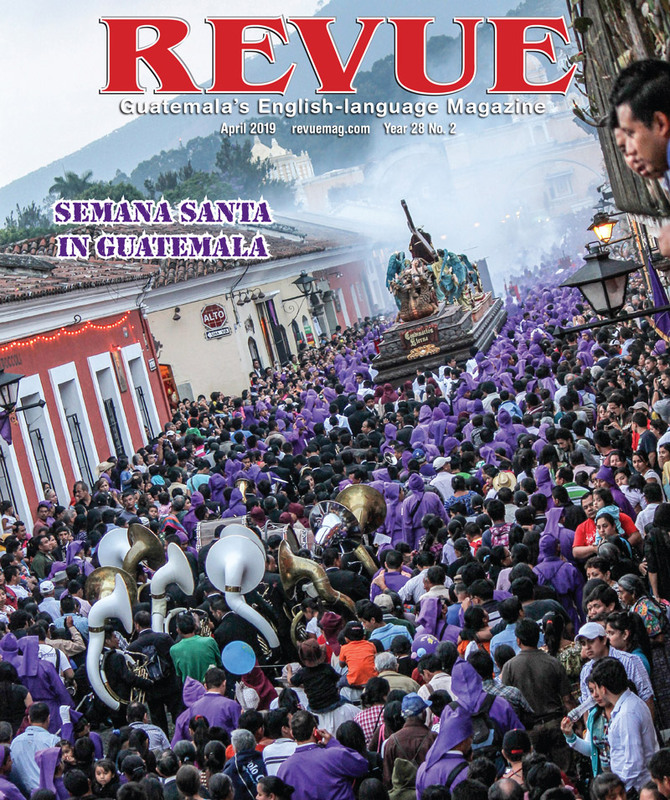 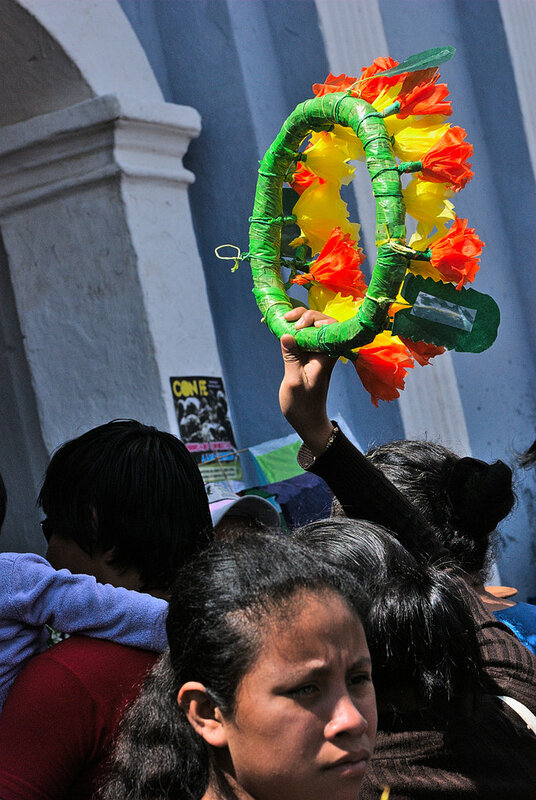 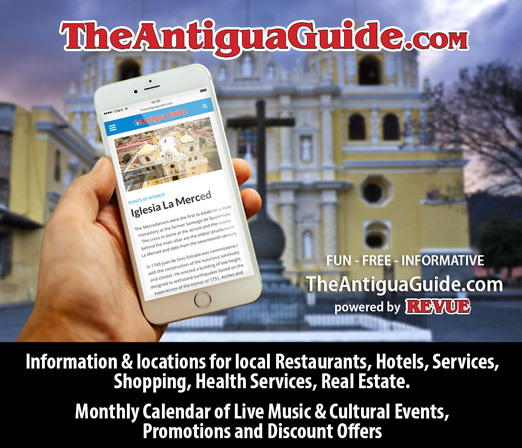 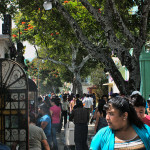 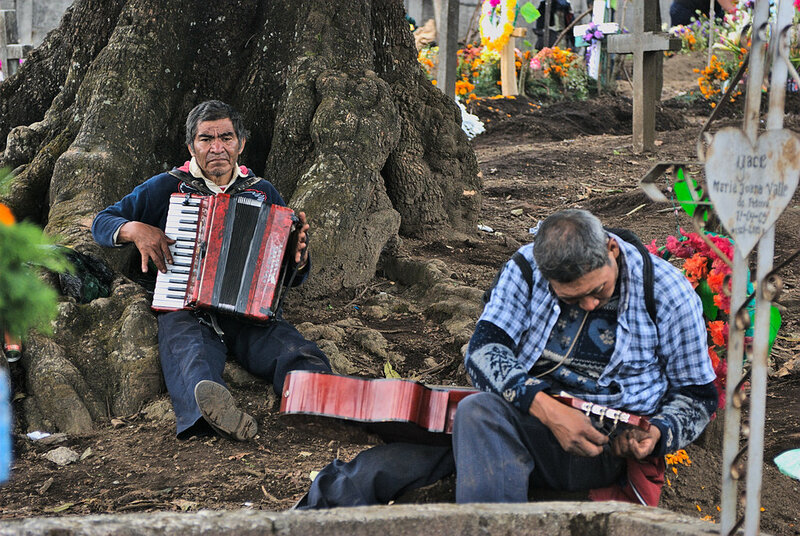 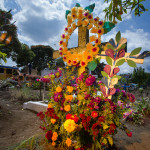 In Guatemala Día de Todos Los Santos (All Saints Day) is celebrated on November 1 and Día de Los Fieles Difuntos (Day of the Dead) on November 2. 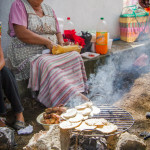 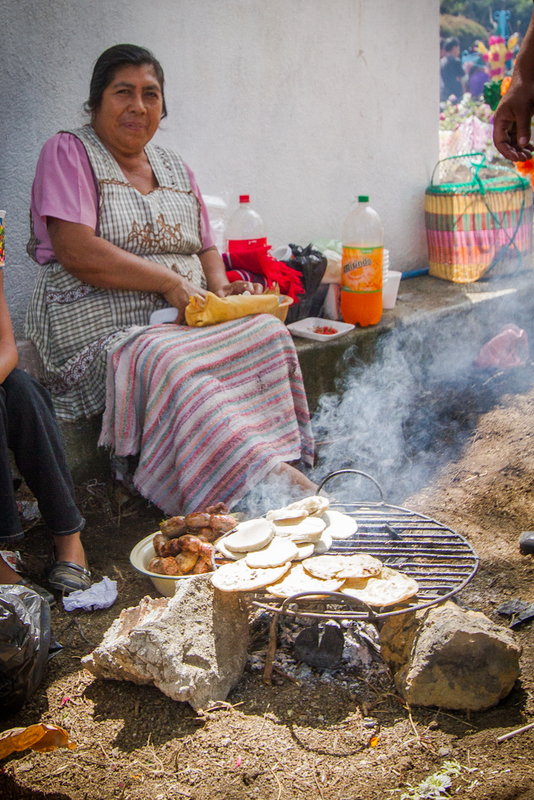 For these holidays Guatemalans prepare a very special once-a-year meal that goes by the name of fiambre. 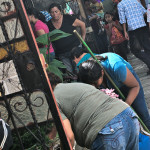 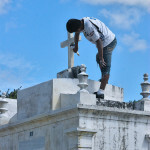 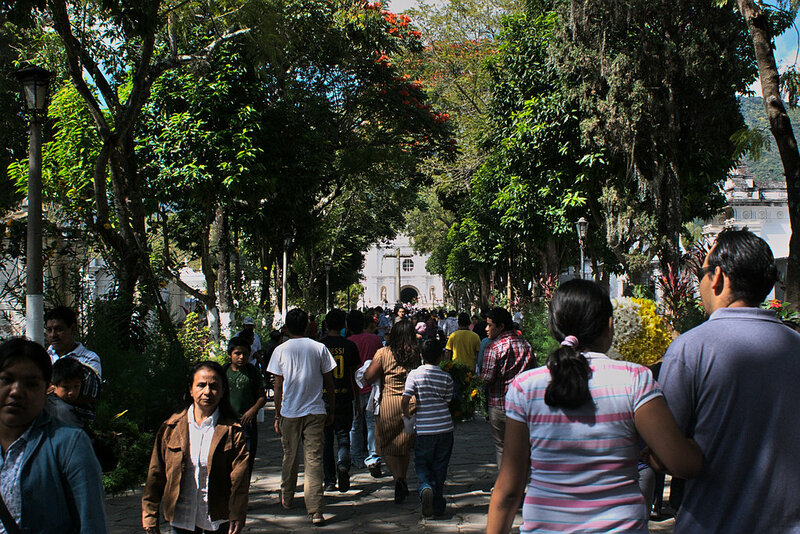 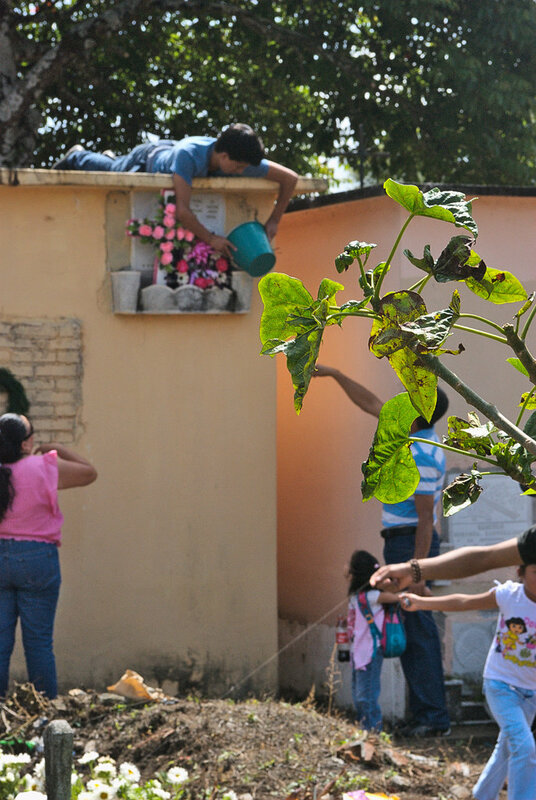 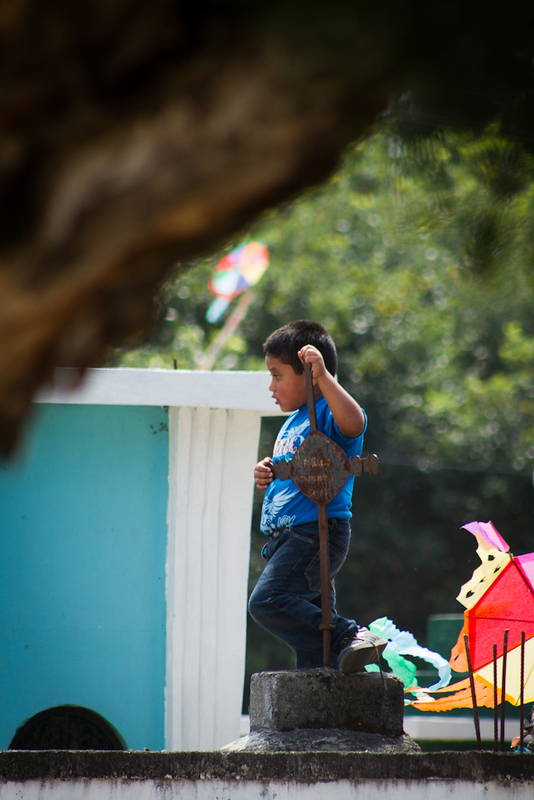 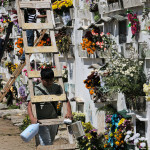 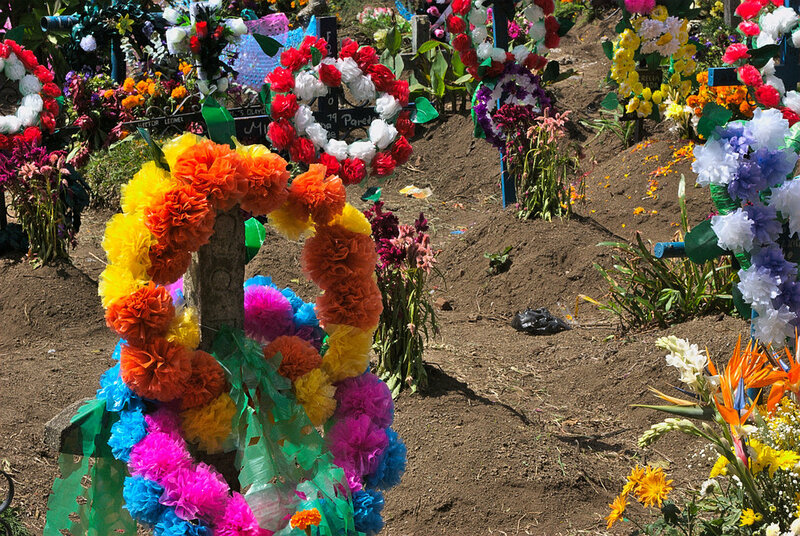 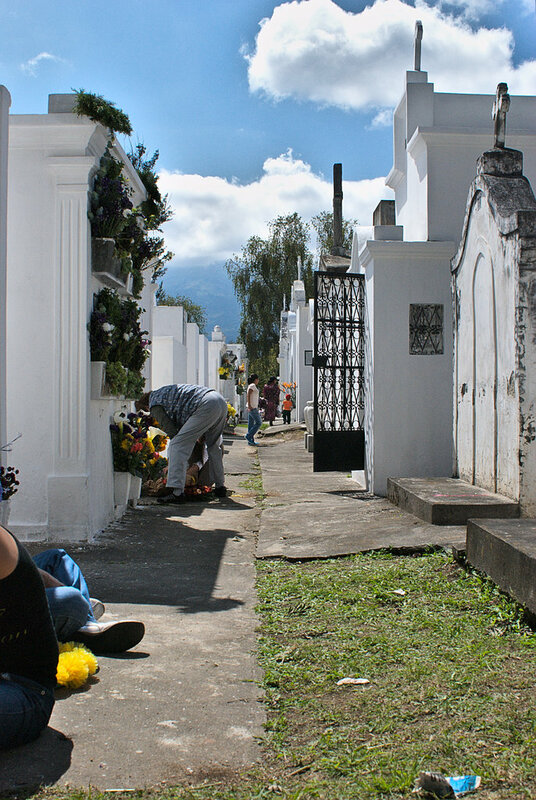 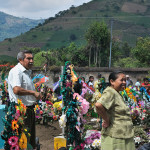 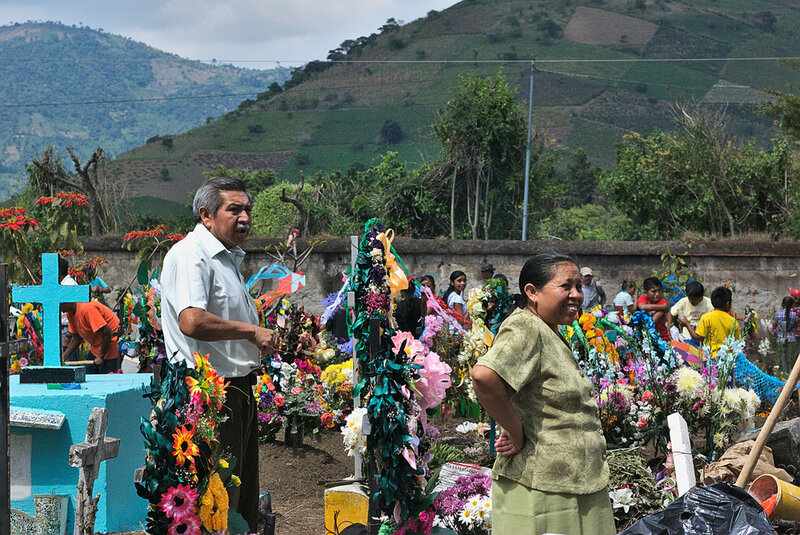 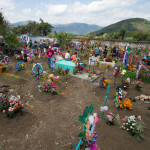 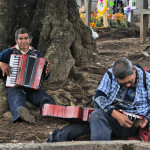 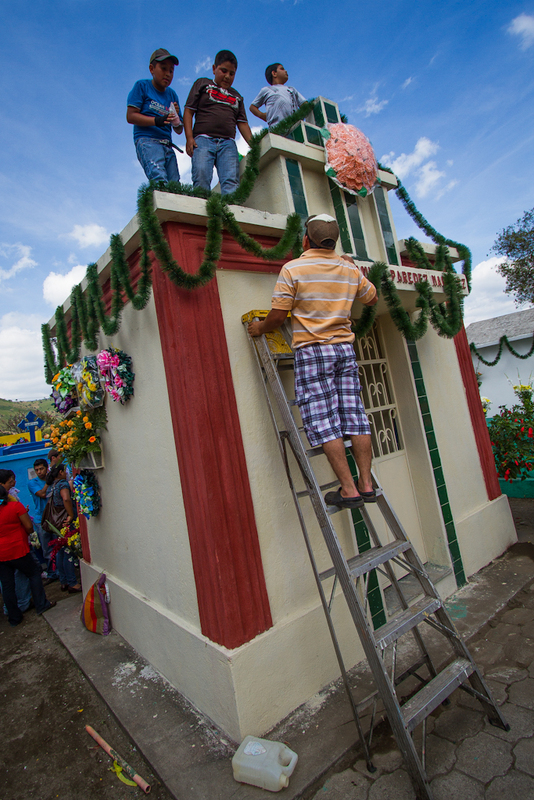 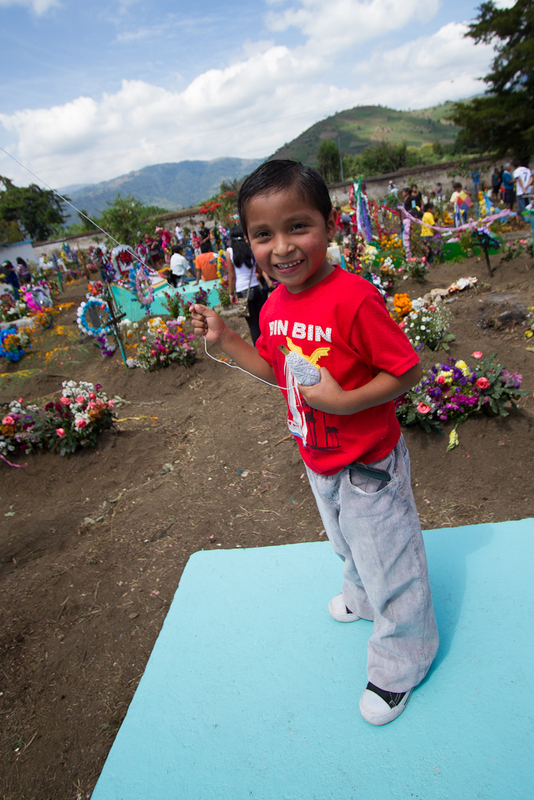 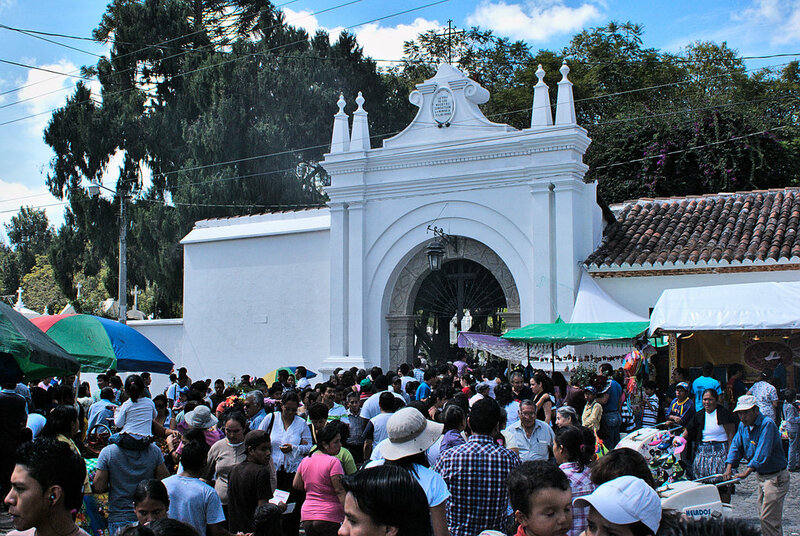 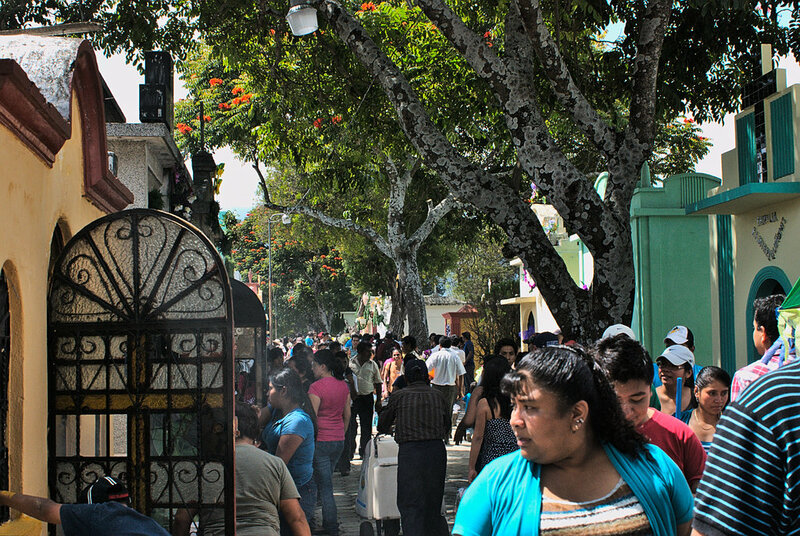 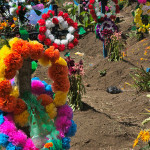 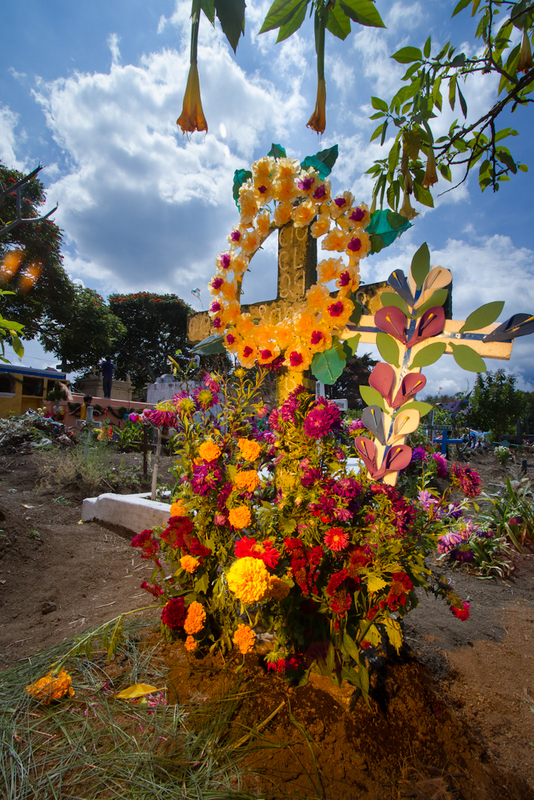 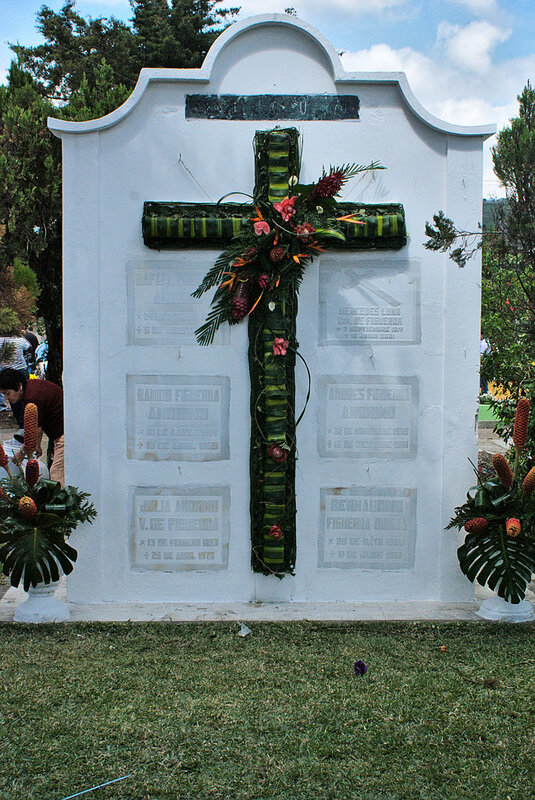 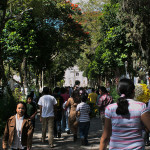 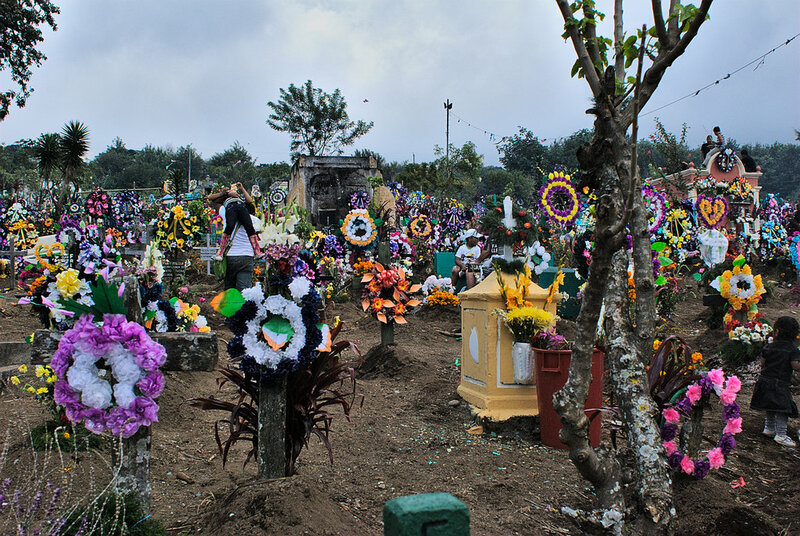 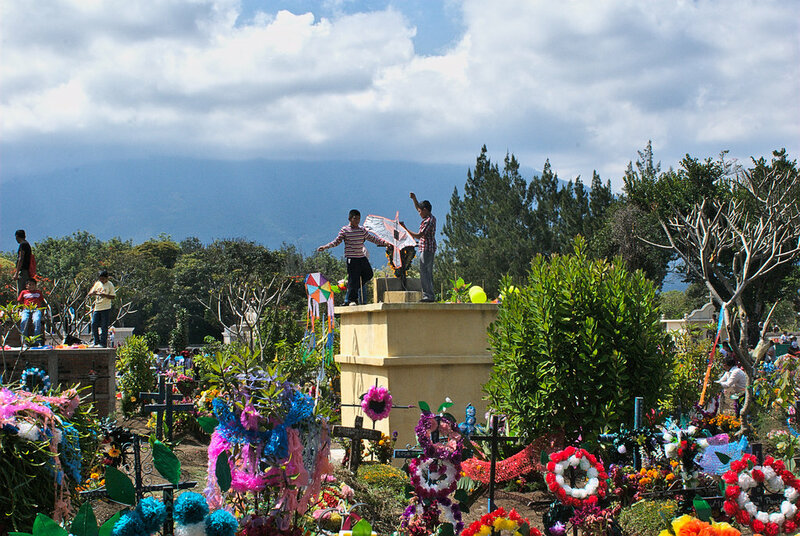 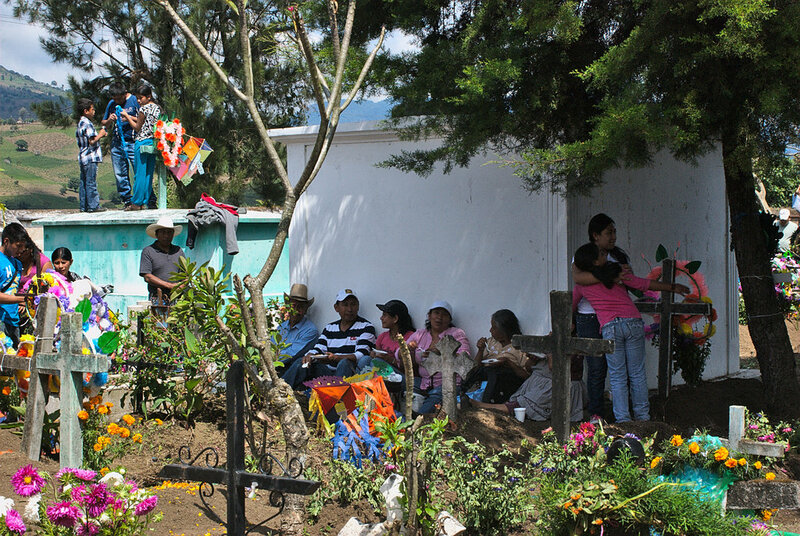 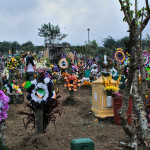 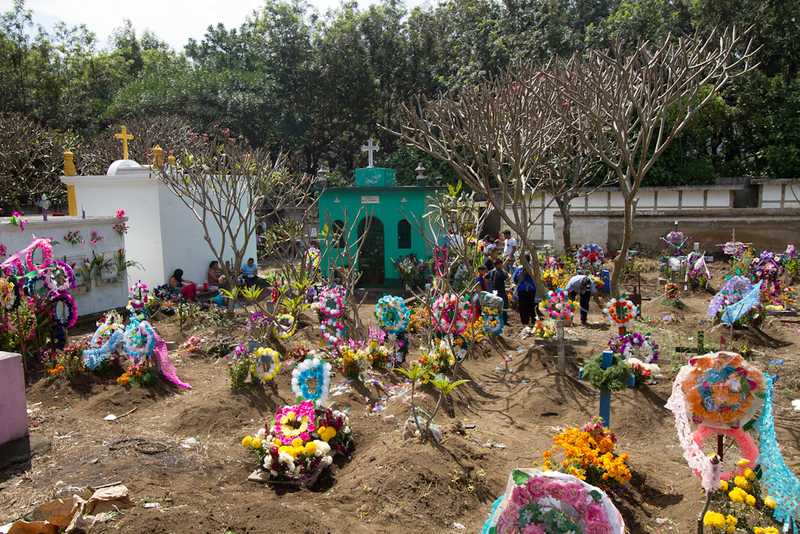 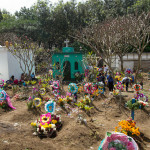 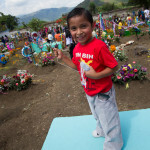 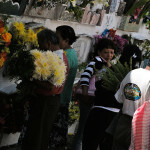 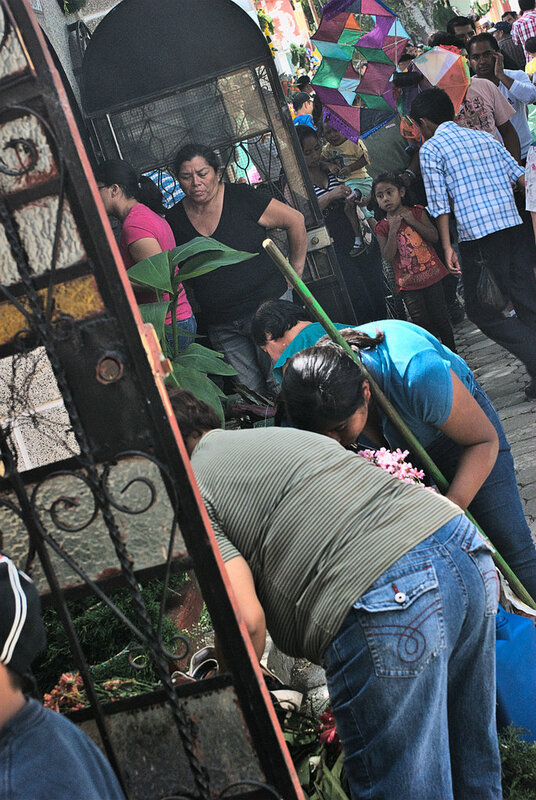 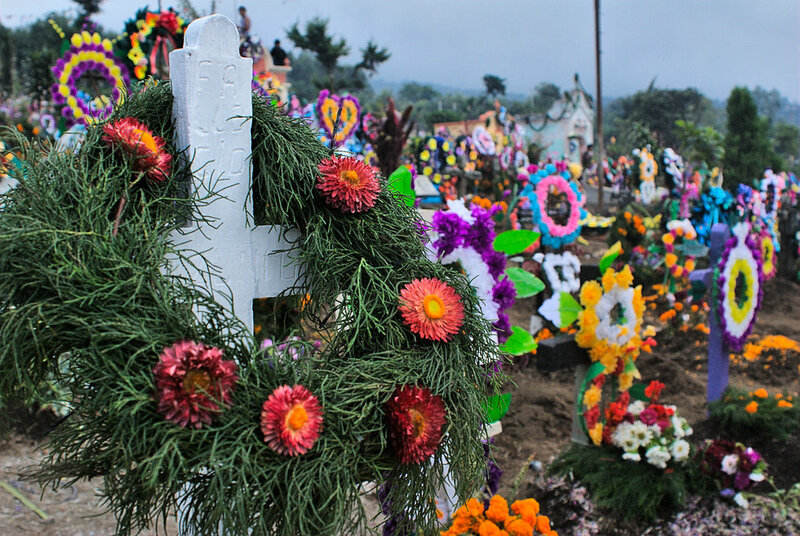 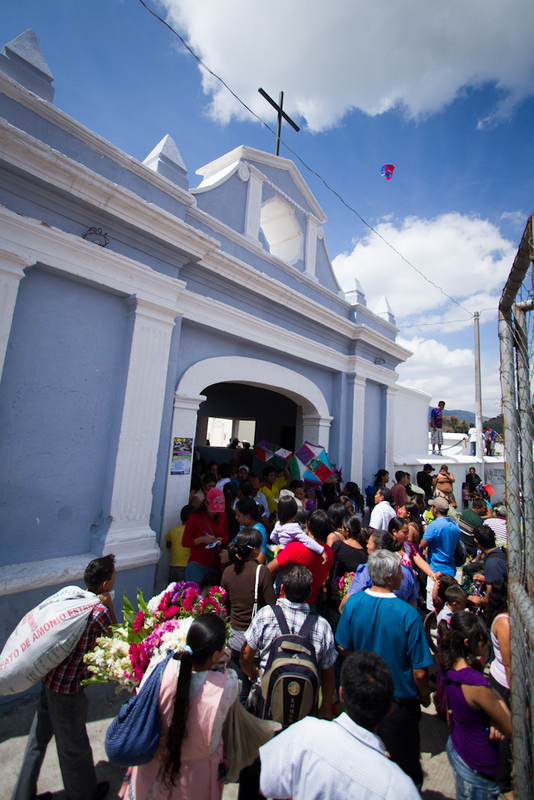 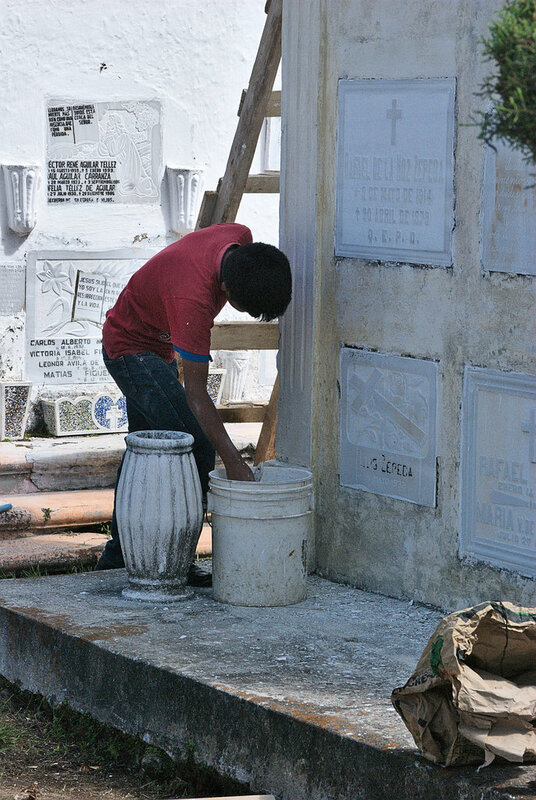 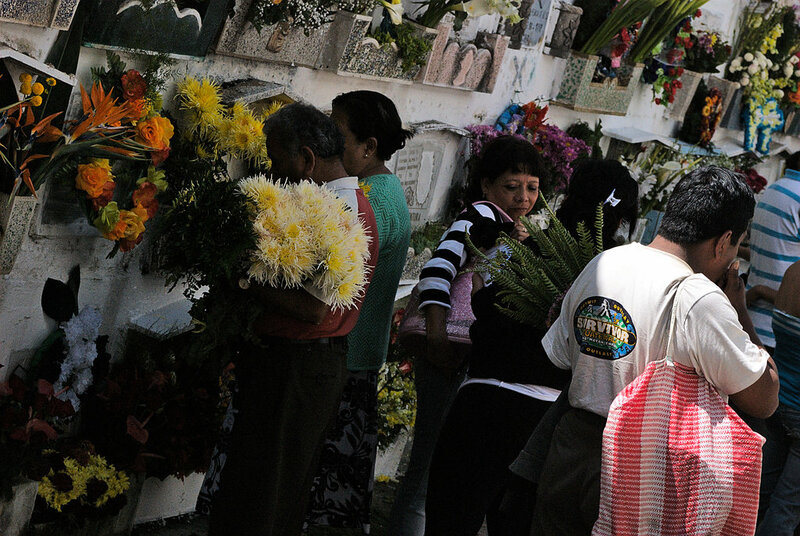 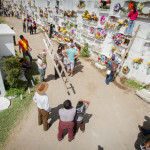 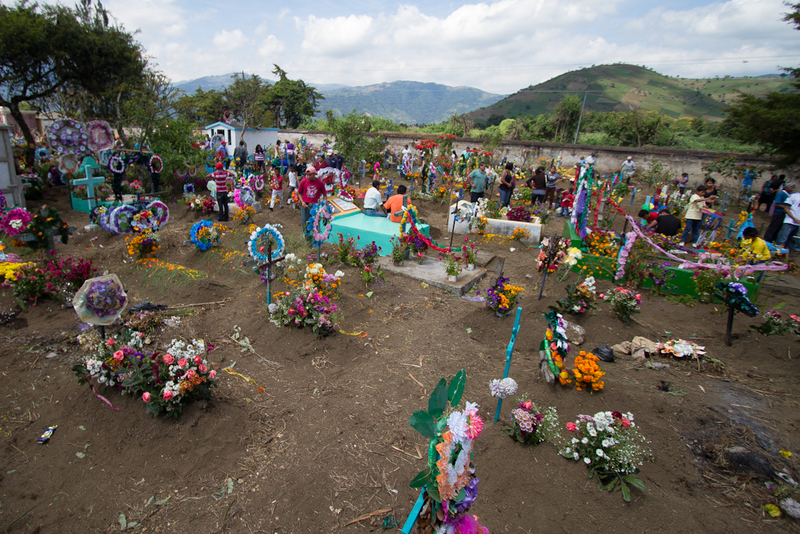 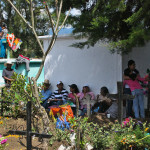 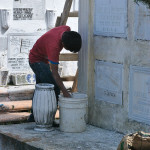 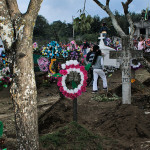 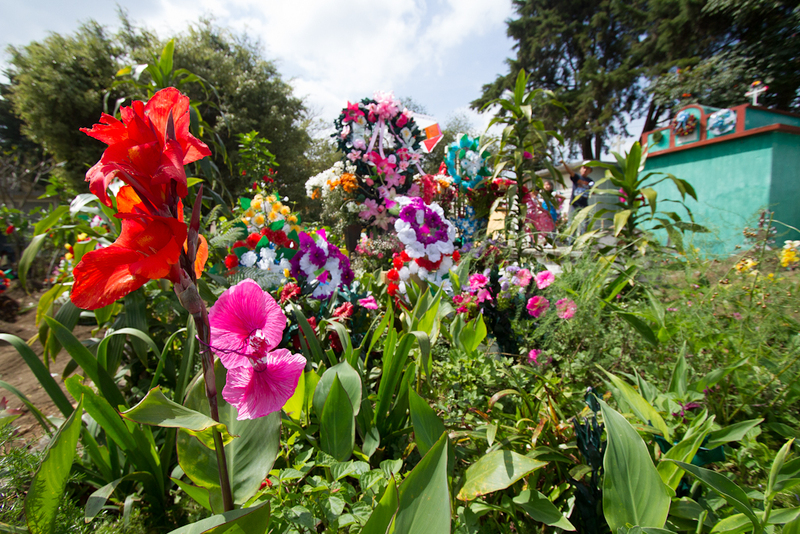 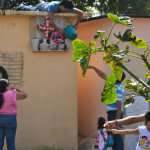 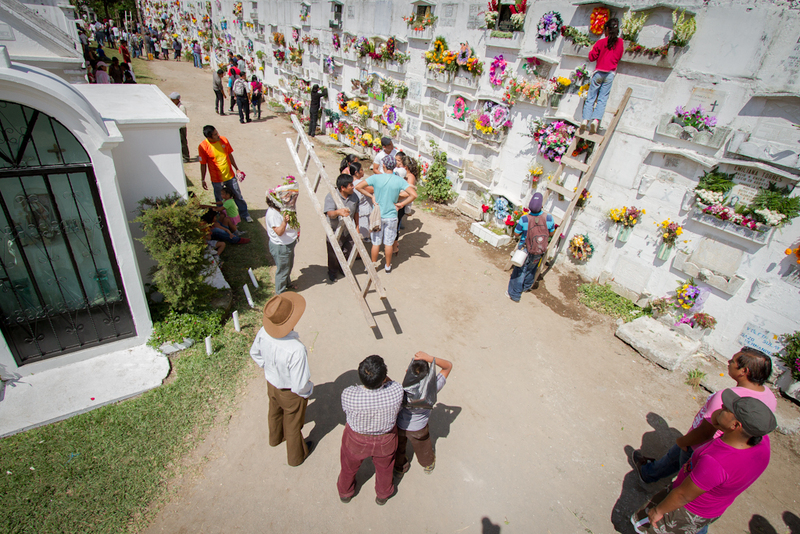 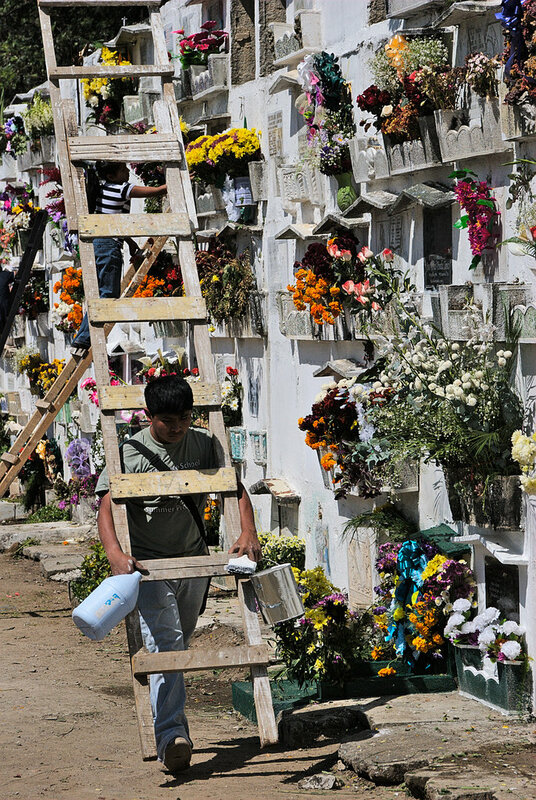 Guatemalans also spend time with the family at the cemetery remembering their dead. 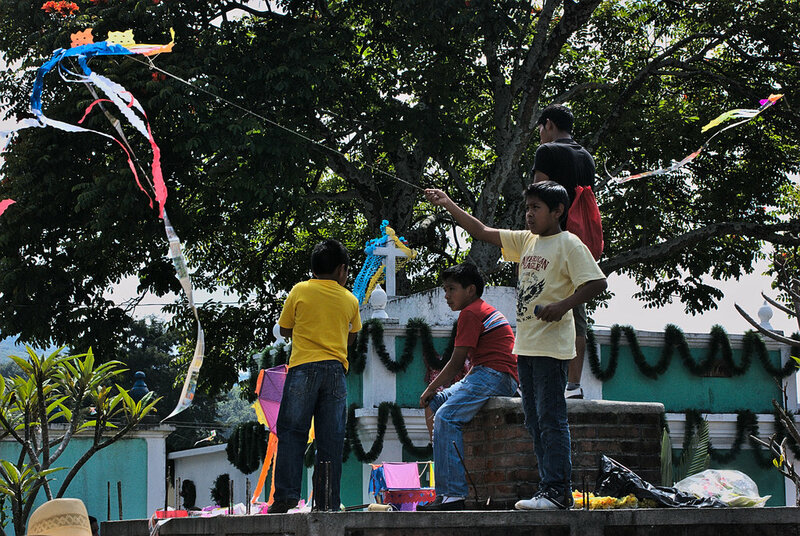 They also fly kites to help unite the dead with the living. 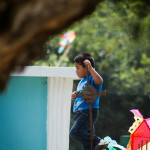 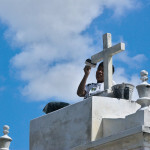 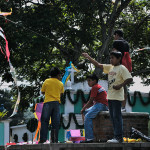 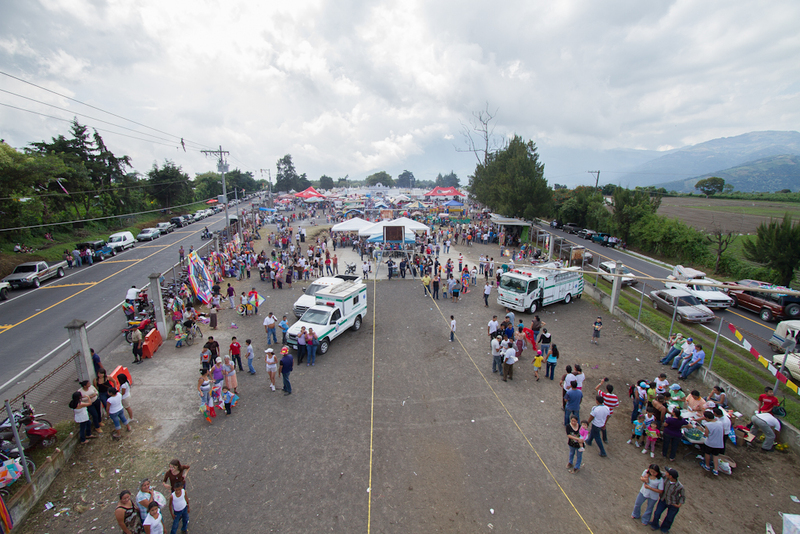 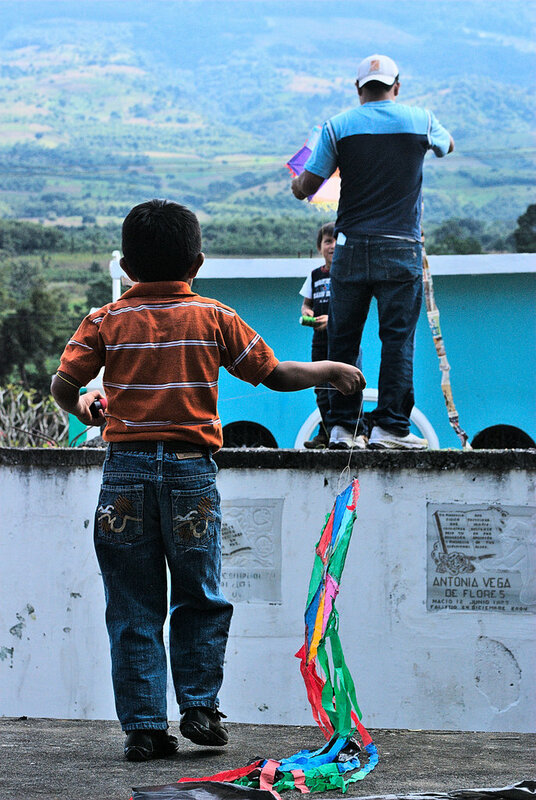 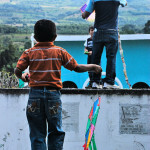 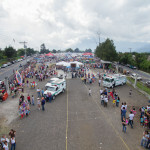 In Sumpango and Santiago Sacatepéquez they even fly giant kites over the cemeteries. 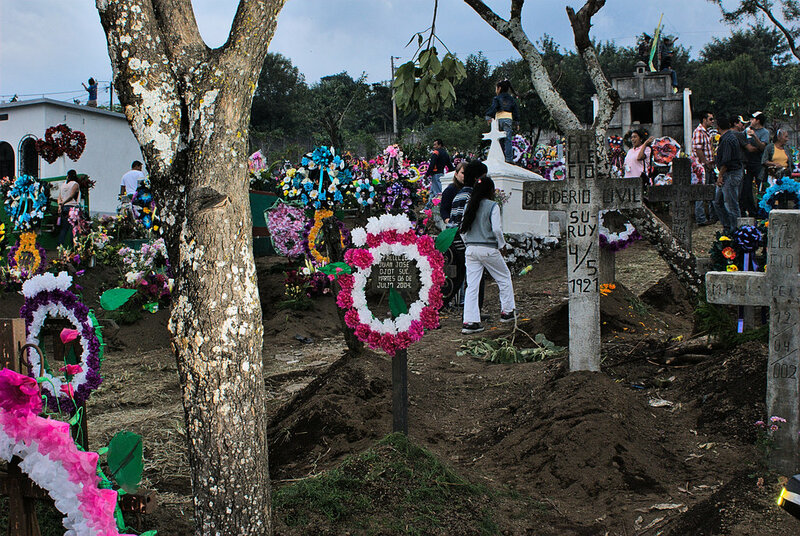 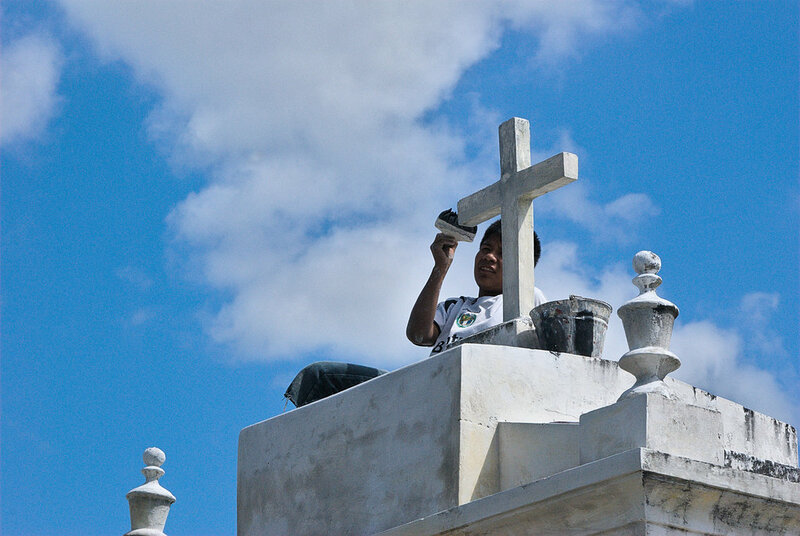 Here’s a photographic essay about a typical day at the cemetery on All Saints Day taken by the photographers Nelo Mijangos and Geovin Morales. 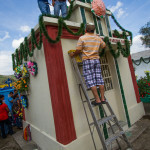 How else do they celebrate it? 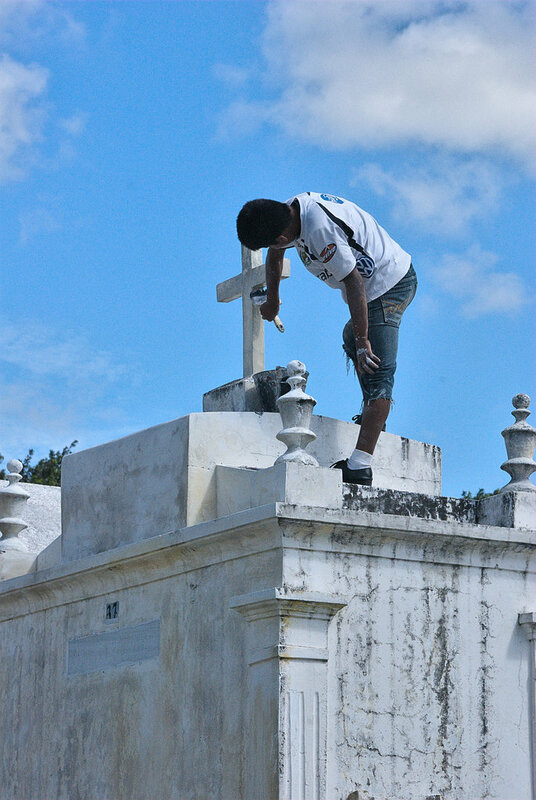 *Santos* PLZ answer.